Smoking, diabetes and high blood pressure puts women at greater risk than men of having a heart attack, a study has found. An international study of 472,000 middle-aged adults with no history of cardiovascular disease found while men were three times as likely as women to have heart attacks, certain risk factors were increasing the chances among women. But women who were heavy smokers, had high blood pressure, and were diagnosed with type I or type II diabetes faced what the researchers called an "excess risk". "Overall, more men experience heart attacks than women," said the study's lead author, Dr Elizabeth Millett, an epidemiologist at The George Institute at the University of Oxford. "However, several major risk factors increase the risk in women more than they increase the risk in men, so women with these factors experience a relative disadvantage." And women with type I diabetes faced an almost three times higher relative risk, while for those with type II diabetes it was 47 per cent greater. "Our findings suggest that clinicians should be vigilant when their female patients are elderly, smoke, have diabetes, or have high blood pressure," the researchers wrote in a paper published by The British Medical Journal on Thursday. "In addition, a rising prevalence of lifestyle associated risk factors, coupled with the ageing population, is likely to result in women having a more similar overall rate of myocardial infarction (heart attack) to men in the future, with a major additional burden on society and health resources." The researchers based their findings on a review of data collected as part of the UK Biobank, a long-term health study of more than 500,000 people. 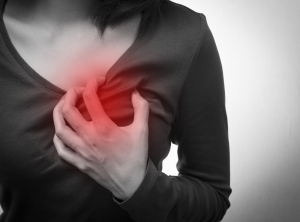 More than 7800 Australians died after having heart attacks last year, an average of 21 people a day.